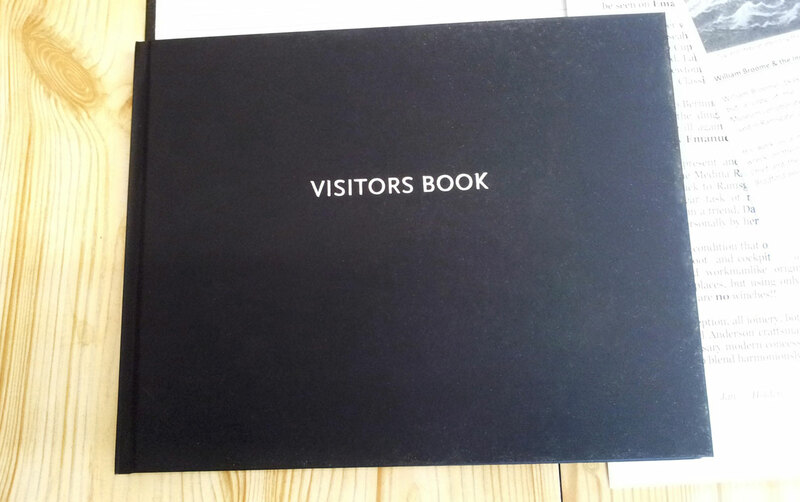 At least a visitor book brimming with positive comments! 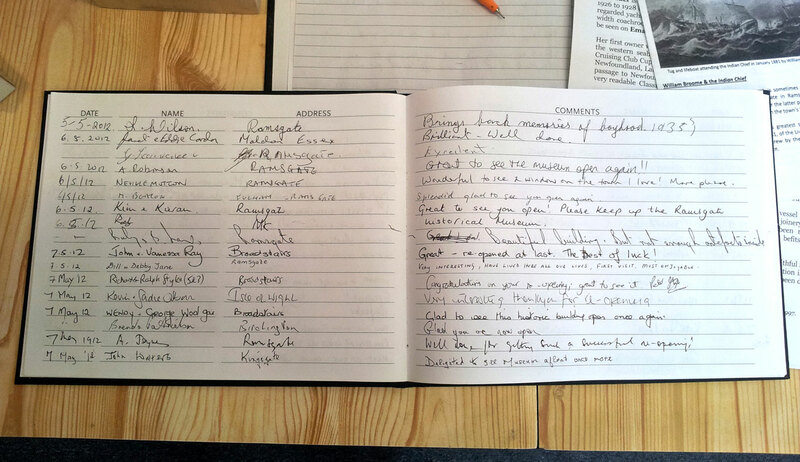 Click Here to see more pages from the Museum's visitor books May through August. 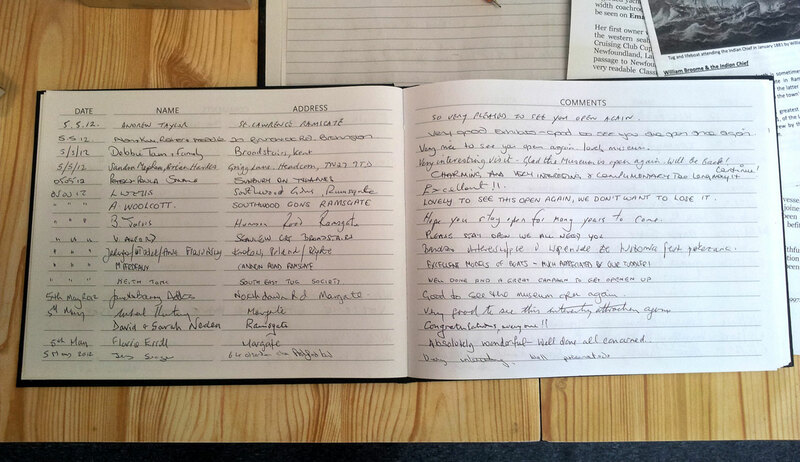 We are surprised and cheered by almost unanimously positive comments from hundreds of visitors, many of whom commented on their appreciation of the re-opening and pronounced their support and good will for the future... Our thanks in return to all those who've taken the time on their visits to write so many interesting, useful and positive things! 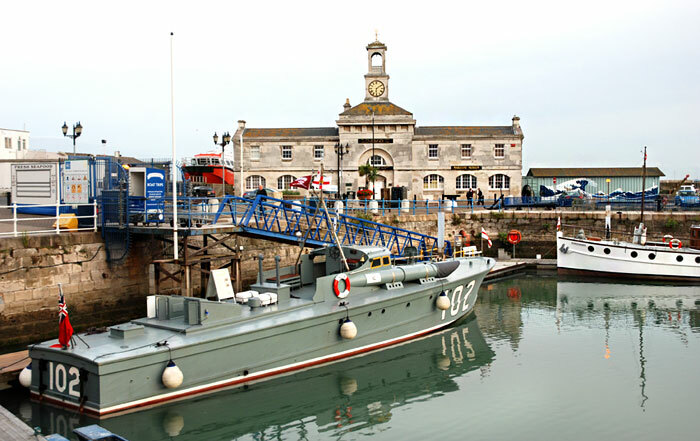 Local residents will have noticed a striking visitor to the Royal Harbour this week, in the form of MTB 102, a historic torpedo boat. 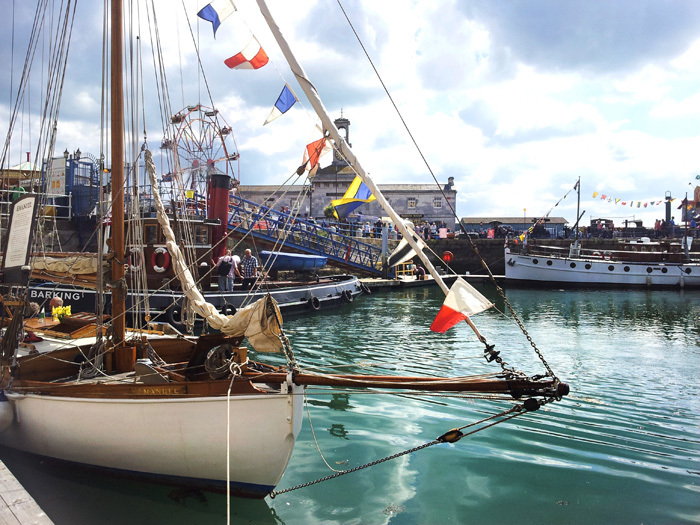 Ramsgate Maritime Museum was pleased to host this historic vessel it's heritage pontoons in the Royal Harbour for several days. 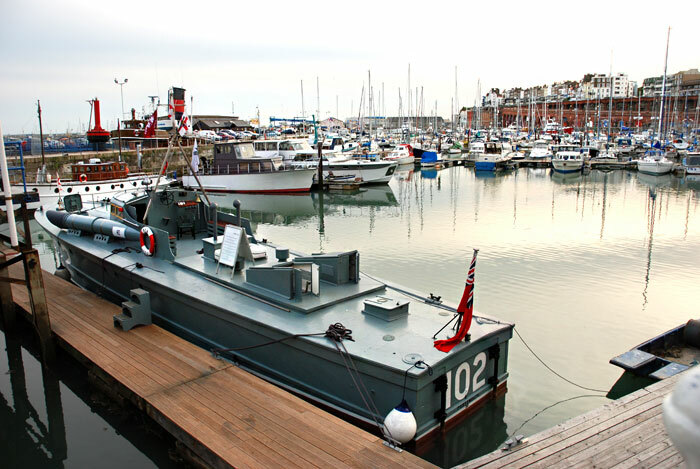 MTB 102 is one of few surviving motor torpedo boats that served with the Coastal Forces of the Royal Navy in the Second World War. She was built as the Vosper Private Venture Boat as a prototype, but was purchased and taken into service by the Admiralty. 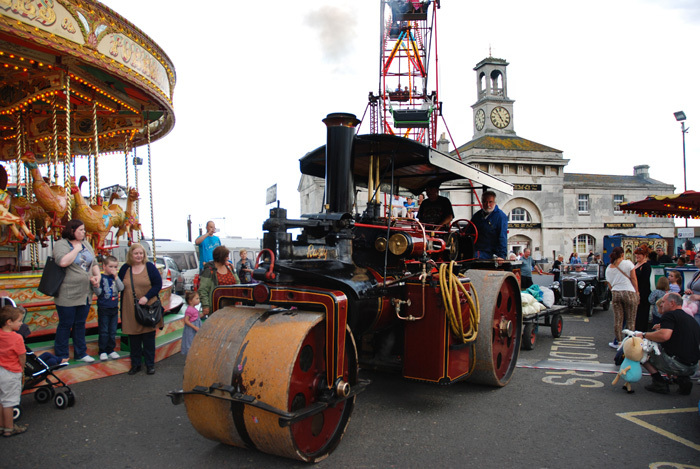 The Steam Museum Trust held its first full scale event over the August bank holiday weekend in support of the Ramsgate Maritime Museum. 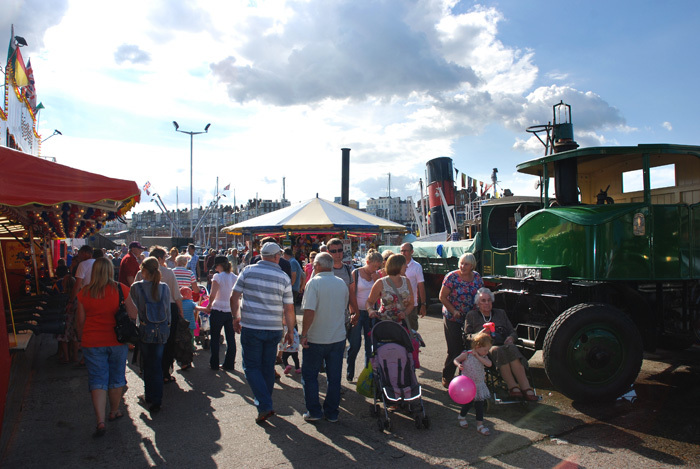 "HARBOUR STEAM" proved a huge success, with many more people than expected visiting Pier Yard to view the festivities which included visiting steam boats, a vintage fun fair, steam and vintage road vehicles, maritime working displays, and the resident steam tug CERVIA's 1,000 H.P. 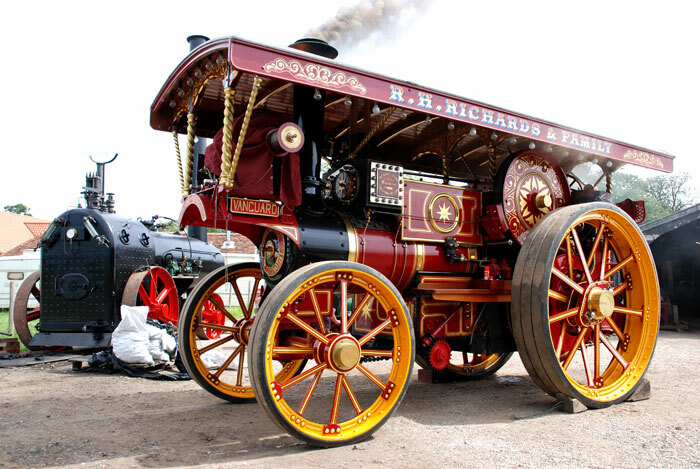 triple expansion steam engine running under steam. All this was backed up by many other activities in and around the excellent Clock House museum in conjunction with the arts activites of the "Summer Squall" festival. 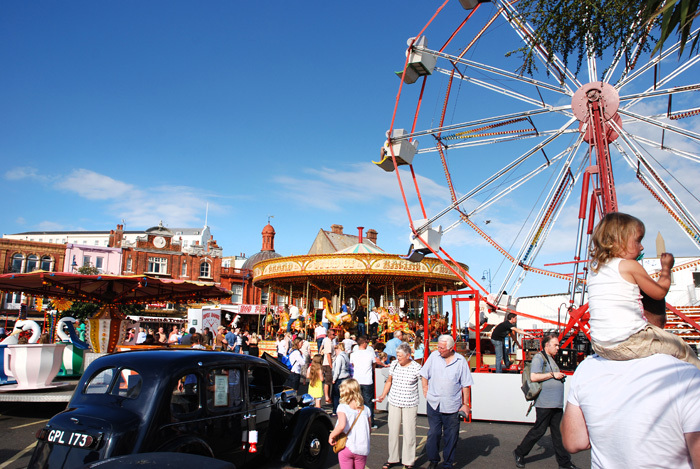 The combined events attracted record crowds of an estimated nearly 20,000 people to the town. 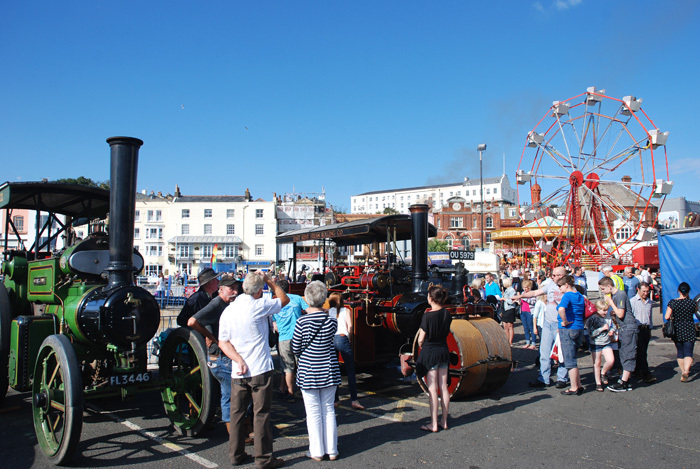 "Congratulations to the Steam Museum Trust and their partners who have provided local residents and visitors with the excellent Harbour Steam Bank Holiday event in Ramsgate. 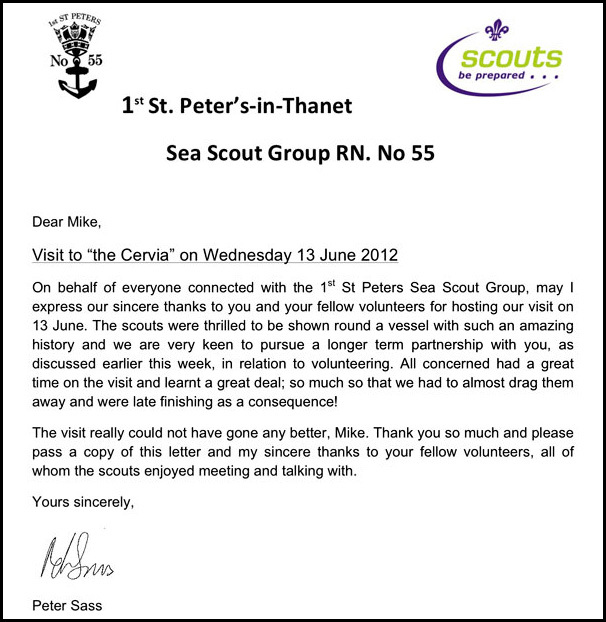 It has been simply wonderful to see so many people enjoying themselves in such a beautiful setting". 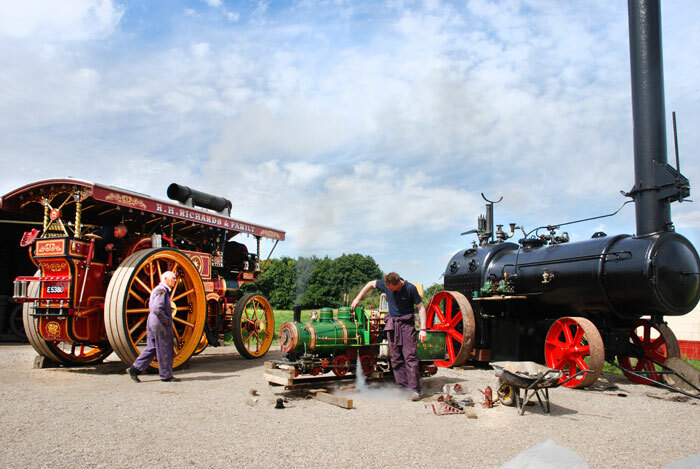 The Steam Museum Trust is staging the first August Bank Holiday weekend public event in the beautiful setting of Britain's only Royal Harbour on 26th & 27th August. 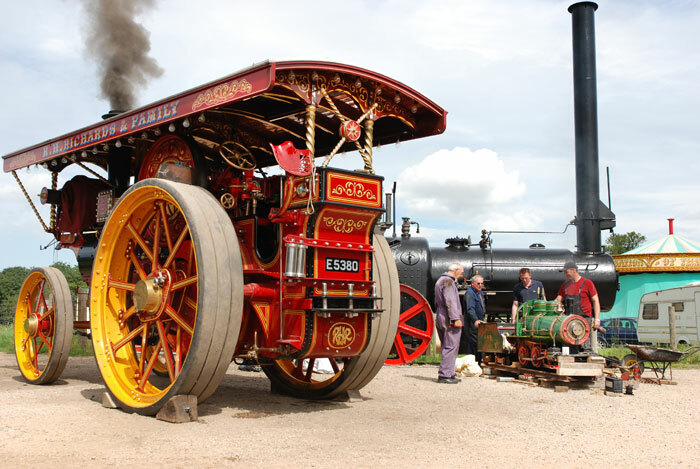 Attractions will include visiting steam and classic vessels, a vintage fun fair, visiting traction engines and a steam wagon, vintage cars and motorcycles and a passenger carrying railway, etc. 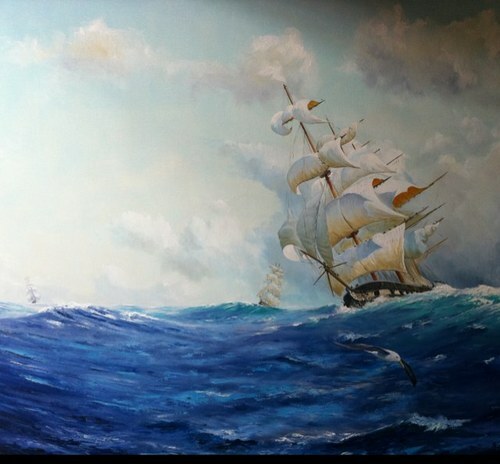 Some of the historic vessels will be open to the public and it will be possible to view the enjoy sight of a 1,000 H.P. triple expansion marine engine running in the steam tug CERVIA. 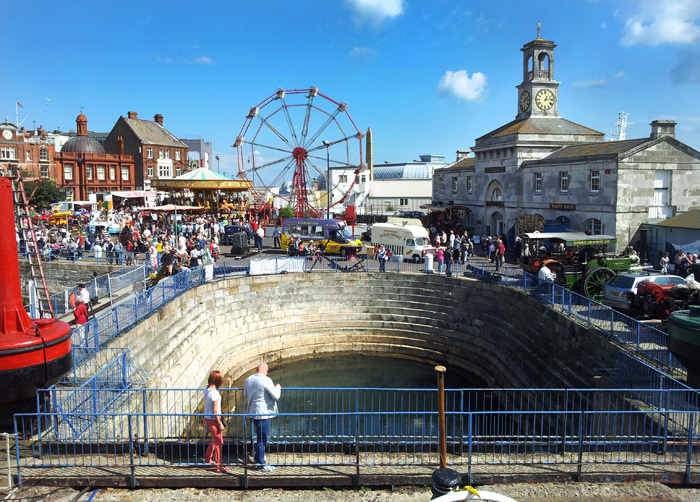 The recently reopened Ramsgate Maritime Museum will be hosting this special event throught the two days, in conjunction with the established 'SUMMER SQUALL' arts festival which features LIVE MUSIC, DANCING and THEATRICAL PERFORMANCES, plus other art displays and craft stalls. Lots of harbourside restaurants, bars and cafe's and ample car parking. Recently in July the Museum hosted a Children's Storytelling Session. These are run by Emily Parrish from Scandalmongers Theatre Company, who hold many storytelling eventsthroughout the summer. The sessions are free to children of 4 - 11 years with an accompanying adult, and demonstrate the museum working in the community. Workshops are funded by Kent County Council. 21st July to the 5th September 11am to 5pm. 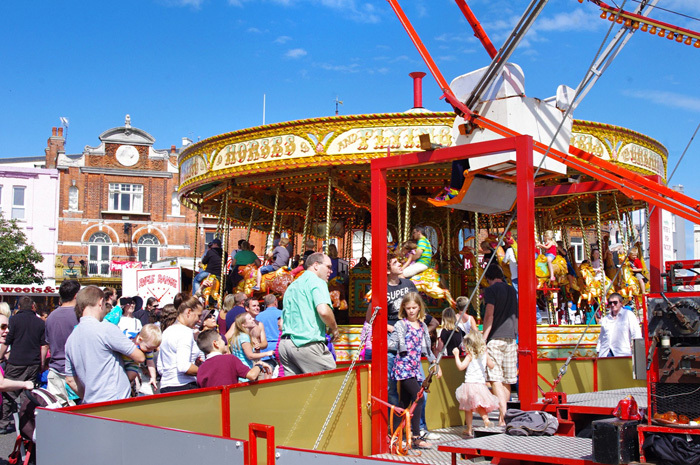 Admission is: £2.50 Adults, £1.00 Children under ten. "Last Thursday 28th June, I was invited as guest speaker to give a lecture on steam tug Cervia to the Hilderstone radio club. This was partly in response to various members of the club who have greatly assisted us in the restoration of our radio receivers and transmitters, some 25 members were present and, from the many handshakes I received afterwards, I believe it to have been interesting and informative. We expect Cervia's restored radio to be fully functional by the end of July, and the club has indicated that they would like to carry out a broadcast day in the near future..."
Organised by the Steam Museum Trust, last weekend's Preston Rally was a great success and Ramsgate Maritime Museum held a special mini exhibition at the show, attracting much interest and local support. Contributions from bell ringing at St Mildred's Church helped raise £101, while a further £30 was generated from the sale of cupcakes made by one of our volunteers, Sue James. The cakes were specially made in steam tug Cervia's Watkins colours (Wm. Watkins & Co. who operated Cervia for much of her life). 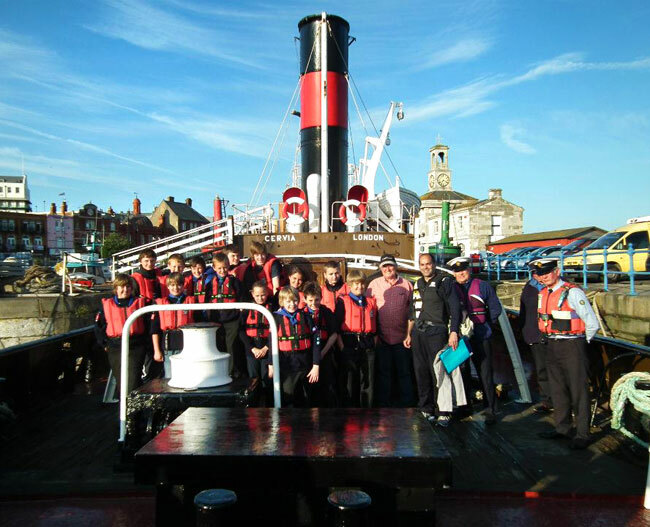 The 1st St Peter's-in-Thanet Sea Scout Group line up for a photo on the aft deck of Steam Tug Cervia. 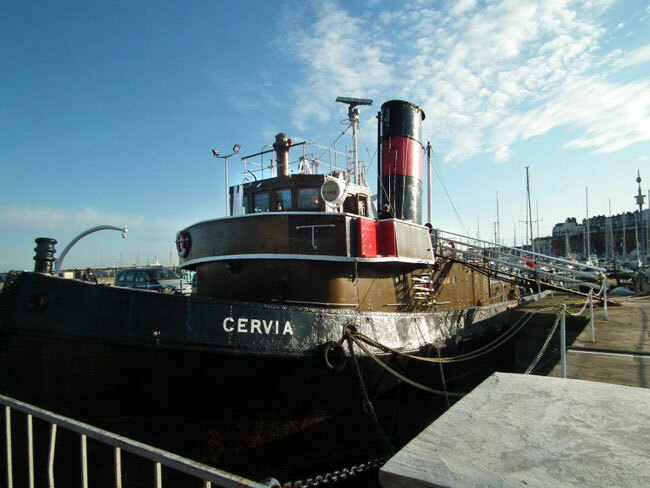 A view of Cervia showing some of the restoration progress to the port side of the steam tug. 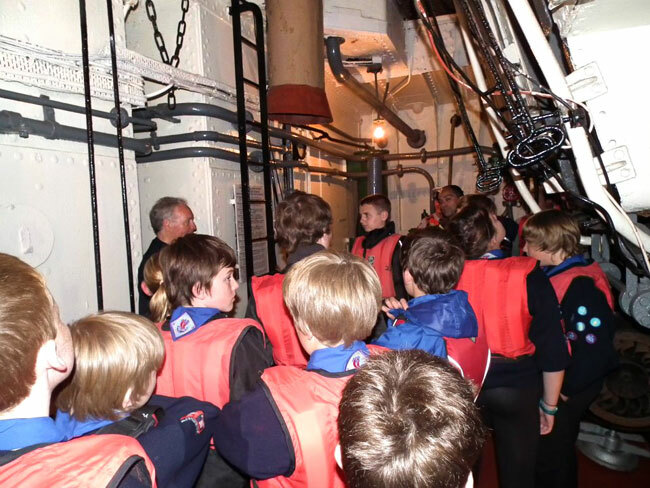 The scouts are shown around Cervia's boiler room. 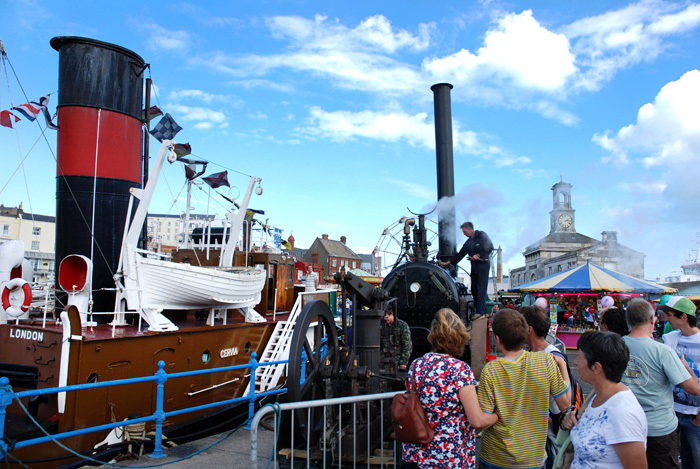 Mike Houckham explaining the workings of the steam tug. 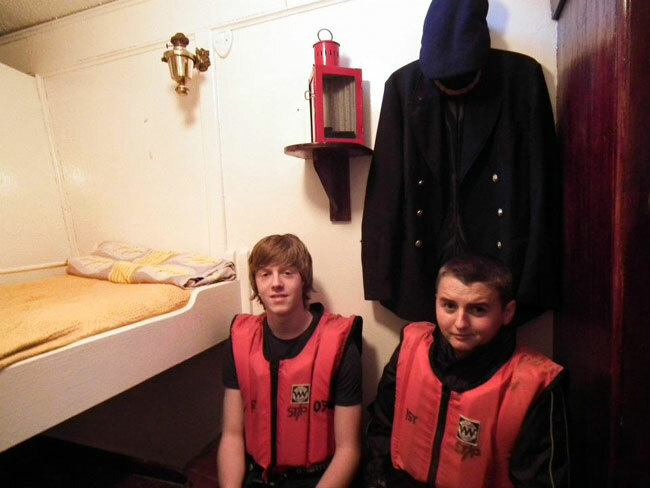 Testing out the captain's cabin.. Some of the various Mayors of Kent towns and the Chairman of KCC line up for a photo whilst visiting the RMM yesterday. 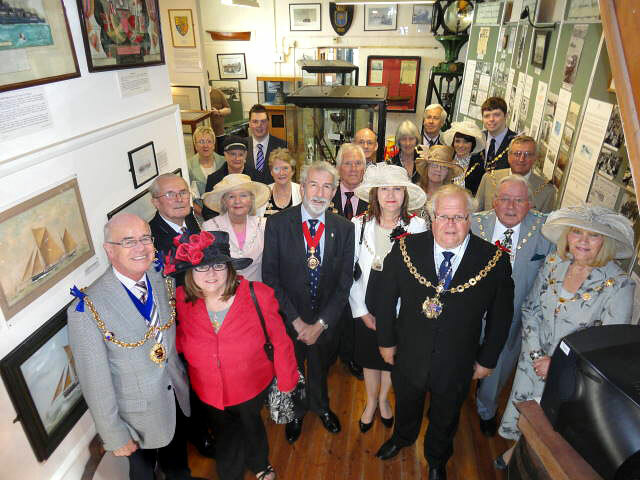 Yesterday, the 17th June, Richard King, Chairman of Kent County Council, various councillors and mayors from local Kent towns attended a gathering to inspect the newly re-opened Museum.. 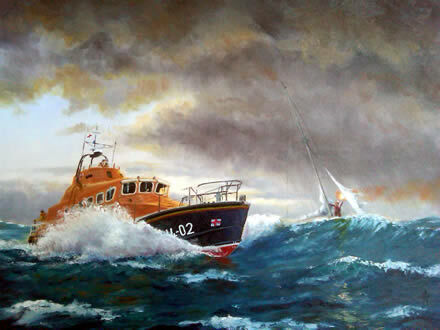 Apparently they were pleased and impressed with what they saw, including restoration progress with the Steam Tug "Cervia" and the new artist's studio (in the old "Gun Room") where a local maritime artist is busy painting scenes of Ramsgate and adding some new life to the museum. 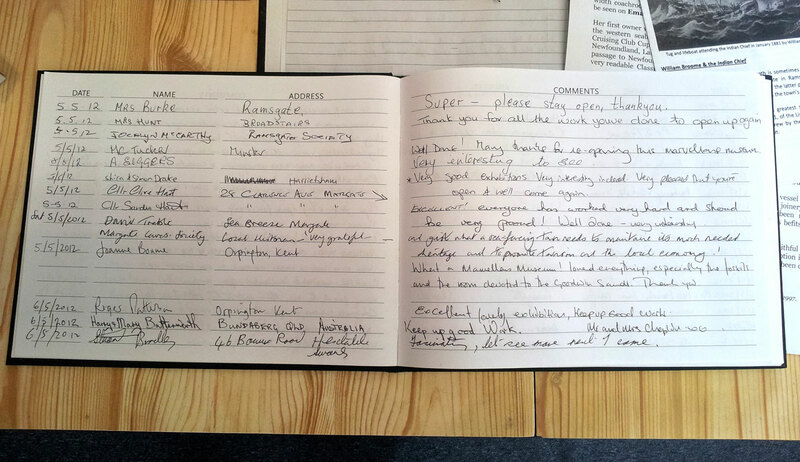 Various future plans for the improvement of the museum were discussed, and all is looking positive for the RMM..! 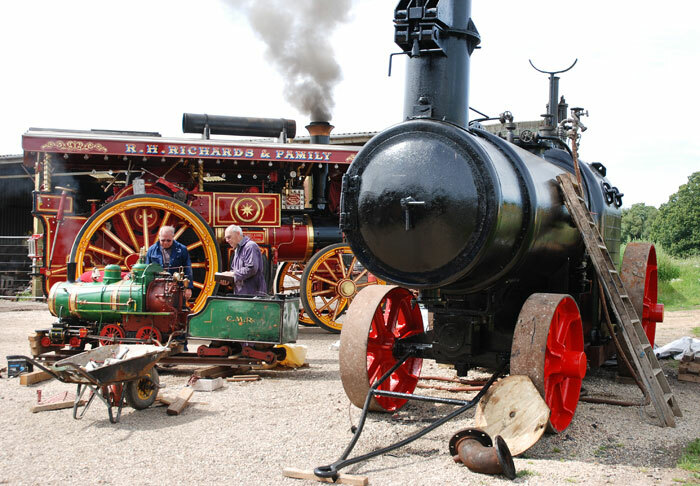 Do keep an eye on the RMM website for updates on our many future plans and events. S.Y. 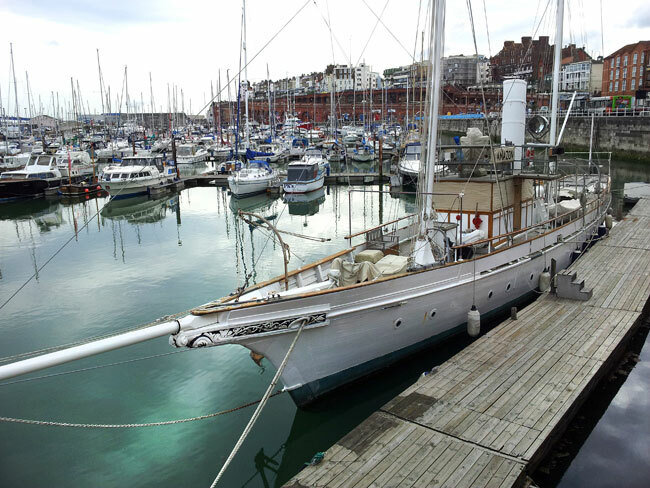 Amazon, moored alongside Harbour Street, Ramsgate, adding much style and grace to the marina. 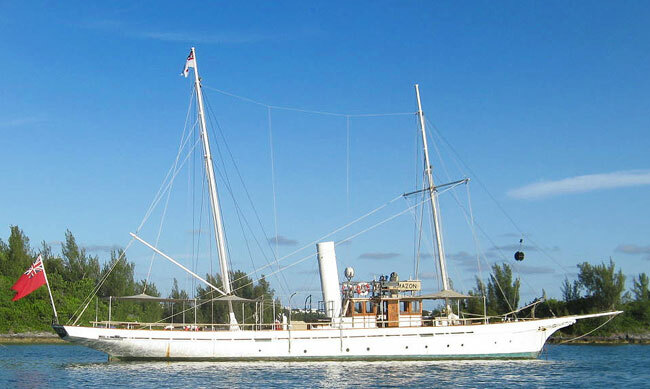 The beautiful 1885 Steam Yacht Amazon on one of her many travels. 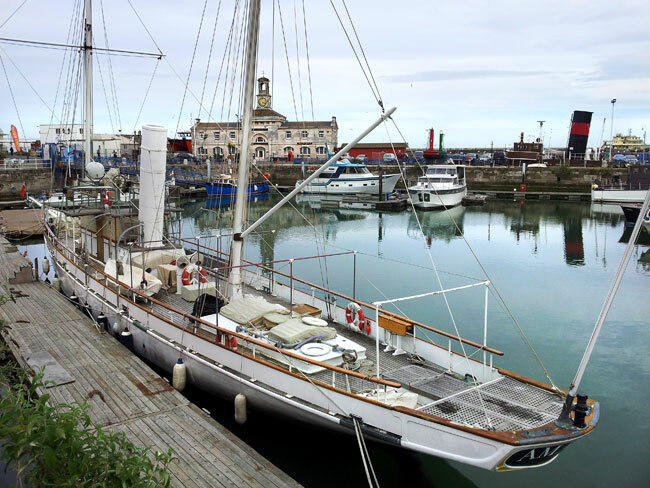 The beautiful steam yacht Amazon is currently visiting Ramsgate's Royal Harbour as the guest of the Maritime Museum. This stunningly elegant vessel was once the property of Arthur Lowe (Captain Mannering of Dad's Army fame) and she used to be aregular visitor to Ramsgate in the 1970's. Some may remember the many riotous parties held onbaord Amazon with some colourful characters including John Le Mesurier (who lived in Ramsgate) and other members of the Dad's Army cast. 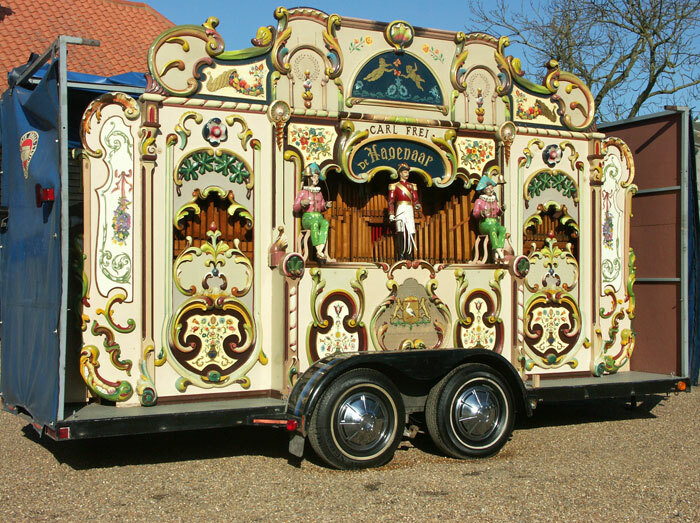 Amazon will be in Ramsgate until the end of June, so make sure to visit before then..! 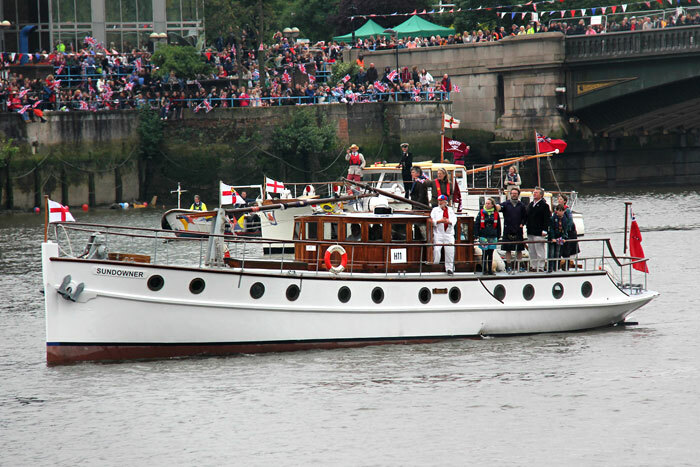 Sundowner, the Dunkirk little ship and famous resident of Ramsgate Harbour, attended the Thames Jubilee Pageant in style sailing with the flotilla from Putney Bridge to St Katherine Dock. 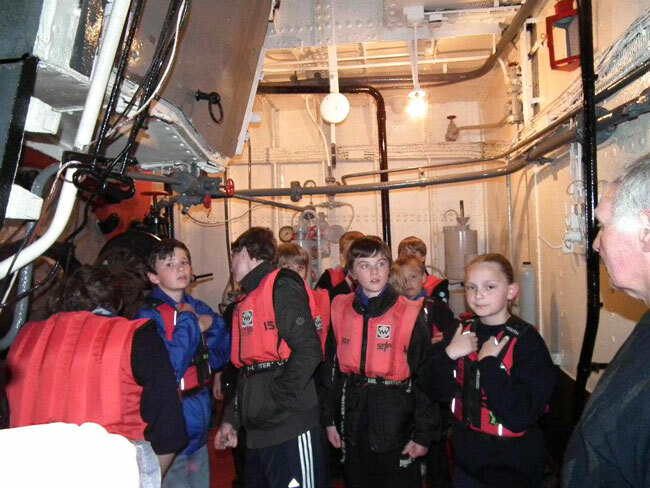 Her crew survived the rain in high spirits and she is now back at her berth in Ramsgate. 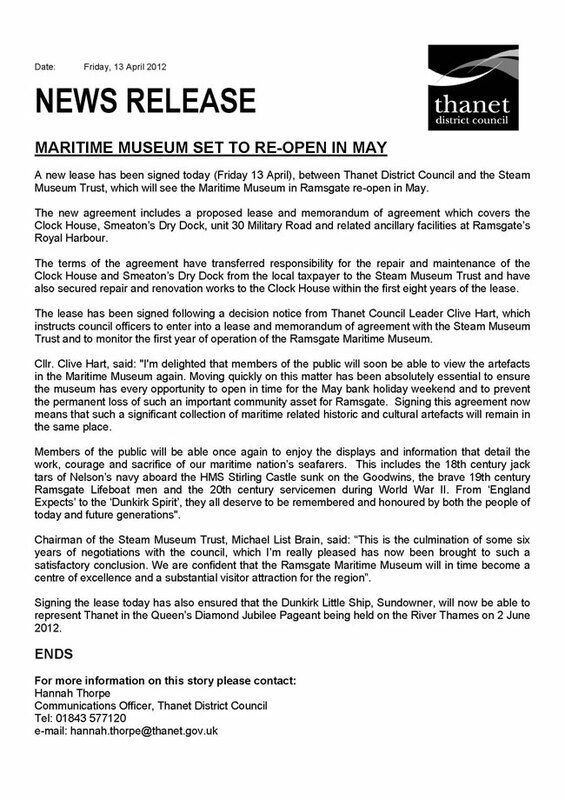 Ramsgate Museum has finally reopened.... As of May 5th 2012, and after 6 long years of negotiation with Thanet District Council (owners of Ramsgate Harbour), the Steam Museum Trust now has a lease on the Clock House building where it will operate the Ramsgate Maritime Museum. 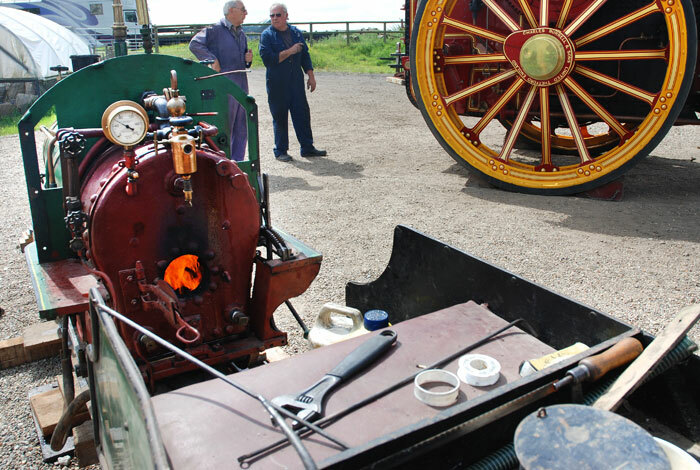 The SMT intend to keep the museum open until September (with free admission during May), where upon a major reorganisation and improvement of the museum and diplays will commence. 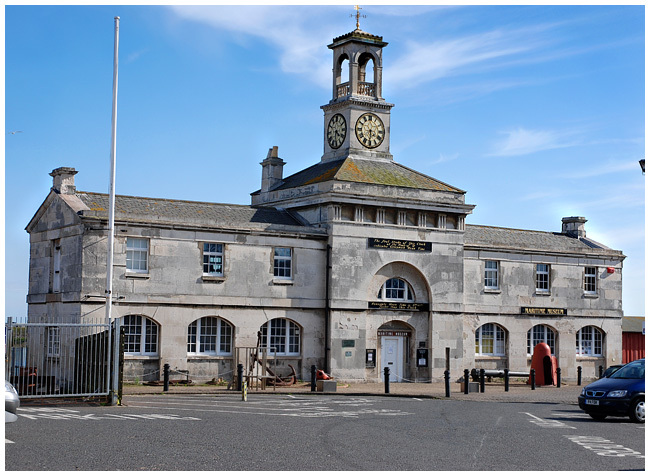 We invite visitors and friends to please come and see the museum and give their thoughts as to how it can be improved and reinvigorated for the benefit of visitors and the town of Ramsgate..